I got too many girlfriends what am I gonna do? but now she's always sweating me. When we gonna kick it? I thought we was cool like that, why you go behind my back? Haters against Players, who you fighting for? Would you result to violence if I take your girl? Are you riding on the bench. Who you starting for? Do you have another girl or is your heart broke? 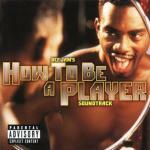 Do you know how to be a player? I'm straight down with the after party, late night freaks.